It seems that no matter what MMORPG pops up to challenge the juggernaut of Blizzard’s World of Warcraft, it's never good enough to come out on top. Rift and Final Fantasy XI both have plenty of players and I’m sure they are fun to play, but it seems Blizzard has staying power. With the new Mists of Pandaria expansion, World of Warcraft continues to offer updated content and new experiences to keep players around. Guild Wars 2 was released recently amidst a large amount of buzz, both from its root fanbase and newcomers alike. I picked up the MMORPG on impulse, hoping for a change from the “not-quite-as-good-as-WoW” titles we’ve all seen as of late. 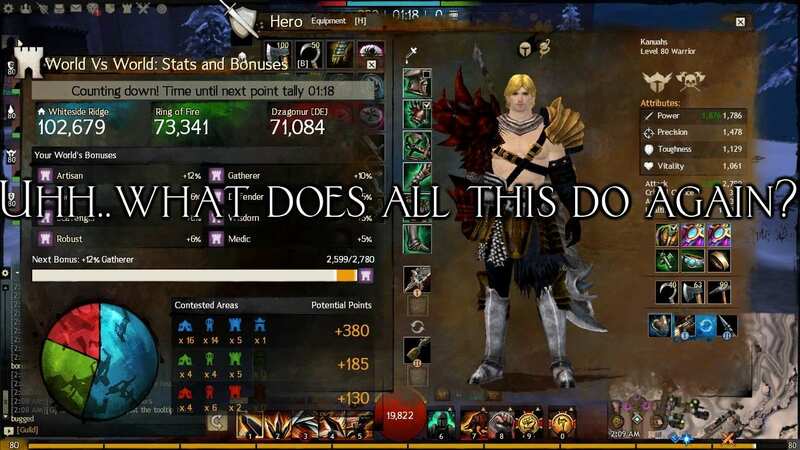 What follows is my experience with the first 20 levels of Guild Wars 2. To start, I’m not much of a fan of MMORPGs. I played WoW for a while when I was younger, but quickly moved on. I have tried many times to play different MMOs and nothing has really been able to keep me coming back and playing, either through end-game content or other characters. Heck, most of the time, I never even finish my first. However, Guild Wars 2 offers a lot of variety and different mechanics to keep me interested. For my first character, I chose to play with the Norn race and the Engineer class. The first thing I noticed was how big the character model was. In game, I look like a giant compared to the humans, and it felt like I ran a little bit slower than the smaller characters as well. This aesthetic makes you feel out what kind of character you are, and is a trait some games tend to gloss over. Though it's small, it's just another thing to pull you into your character's world. As an engineer, I mostly use pistols and rifles, empowering my shots with various effects and gaining the ability to place turrets or drink elixirs. Aside from the obvious idea behind the design of the classes and archetypes behind them, I could really take my character in a number of different directions depending on the skills I chose and style of play I preferred. Choosing a class never pigeon-holed me into playing as what the developers though an Engineer should be. I felt far more free to customize my character's skills and abilities than I have in most other MMOs. Each race has an interesting backstory, but so far most of the “important” story missions include some cutscene where my character sits there and talks with someone else. I do a few tasks, and the story is advanced by me doing almost nothing and listening to dialogue. This experience tends to get tiring, but it's the norm in games like this, so it says less about GW2 and more about the MMO genre in general. At the moment, the most interesting part of my experience lies somewhere between the missions in the story. Once I began my epic quest, the game more or less dropped me in the starting area with only a minimal tutorial on how to move about and play the game. While I appreciated the effort on the developer’s part to respect the player’s intelligence, there were a lot of complex actions happening around me and at first I felt clueless. Thankfully, the game does offer the a sort of tutorial, it just takes a certain amount of investigation. For most of the UI and its options are explained in small hint bubbles. However, in order to learn how to really play the game, I had to interact with the NPCs in the starting area. A lot of the NPCs in the first area are there to teach new players how to do each specific task, and it helps a lot to make a new player learn by experimentation. I could have just wandered off and figured everything out eventually, but discovering the usefulness of NPCs made the learning curve not as steep as I thought it would be, though it's still a bit overwhelming. Even with the help of an NPC here or there, the amount of information thrown at a new player early on is substantially high. Thankfully they don’t throw it all at you at once, making the workload more manageable and less frustrating. Crafting and Advanced Training are two important aspects to pay attention to later, but until you pass the level 20 mark, these two mechanics are largely unimportant in my opinion. You can craft items and gain more stats through both Crafting and Training. However, at lower levels, it isn’t worth investing in as the more advanced items and skills are gained at higher levels. One of the unique aspects about GW2 is how skills are leveled up within your character’s class. 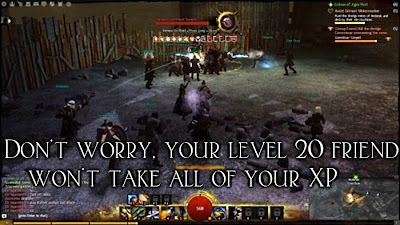 Primarily, your character has certain skills which level up as you use specific weapons. My Engineer uses pistols mainly, and the more I use those pistols the more skills and abilities I acquire to deal more damage. Once you unlock additional skill slots, the numbers 6-0 on a keyboard, skills are unlocked using skill points. Instead of getting certain skills at specific levels or only adding more power to skills you already have, skill points are earned and used to unlock skills over time. This mechanic, though not a new one in the genre, is appreciated as it lets the player choose which abilities he or she wants and allows for customization of a character to fit a specific playstyle. Generally skill points are earned through leveling, but there are also skill challenges throughout the areas you visit which can give you additional skill points to spend as you wish. Leveling is also a little different than you would expect. While your character has a main quest, the side quests are mostly separated by the area you are in and there are only a few important quests that give you large amounts of experience. A lot of the XP comes from exploring the map, discovering important places, or finding parts of an area. While fighting and killing monsters along the way nets some XP, it is more efficient to complete the side quests, usually marked by a heart on the mini-map. These quests usually require you to do some combination of actions in an area to help out an NPC, as we've all learned to do since Monkey Island. I really appreciate how the game lets you interact with the world in different ways, depending on what you want to do. You are rewarded with XP for exploring the game's gorgeous environments, or interacting with NPCs and helping them with various tasks. Or you can take the road less traveled and conquer any manner of beast willing to challenge you during your daring exploits. This diversity goes quite a long way in alleviating the tedium and monotony of grinding. My element of Guild Wars 2 is the random zone events. If there is anything that will keep you playing this game, it's going to be these. Anything from stopping stampeding bears to taking on an ice dragon across frozen tundra can happen when running through an area. I had only made it to level 10, exploring the frozen mountains of the Wayfarer Foothills when I came across an event where I helped take down an evil shaman who was opening gates from another dimension. The fight felt like an end-boss fight, with at least 10-15 other players helping take on this guy, and all of us dying at least once. 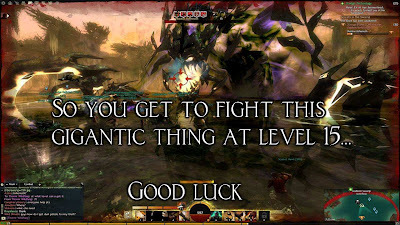 MMORPG 101: once you reach your maximum level, end-game content turns into you and your friends taking on bosses you couldn’t possibly take on your own. I was having that kind of high level experience, having only just broken double digits. These events would happen with or without me present, which I felt greatly enhanced the experience. I had the choice of helping these people out or walking on my merry way. There was nothing keeping me there, nor keeping me out and it was refreshing. The event itself was quite fun and the thought of being able to do this multiple times in an hour or so is intriguing to say the least. Even though these events are the most exciting part of Guild Wars 2, there's no game a few friends can't make better. 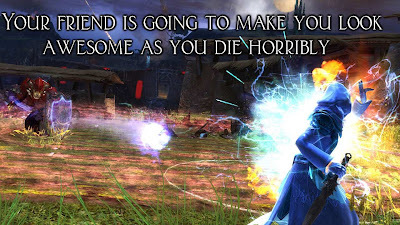 Multiplayer in GW2 is an interesting mix of friendly adventures and beating each other’s face in with dragons and guns. I had a few friends accompany me through my first hour or two of playthrough, and it certainly helped in understanding how certain things worked. The best part is they were almost the same level as me, even if they really weren’t. 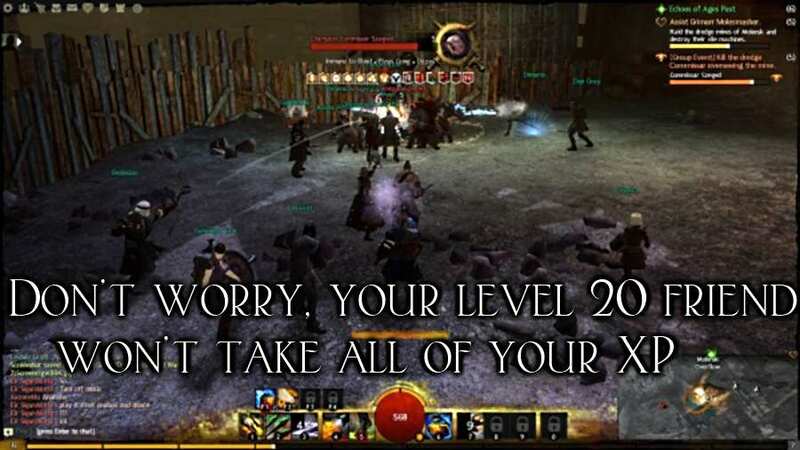 Instead of just having a level 20 guy in a level 5 area, smashing all the monsters and stealing XP from lower level players, GW2 scales down higher level players in lower level areas. My level 18 friend was called down to level 5 when helping me on my first few events, and it was nice being able to feel like I contributed a little. Though I had never specifically identified this as a problem in other games, it now sticks out like a sore thumb. If I wasn't playing the same amount as my friends, either they or I would become more powerful and the game would devolve into a mindless spam-fest. With this mechanic, we can play as much as we like and the battles focus less on stats, and more on skill. I then decided to try PvP and had a great time getting my face pounded into the ground. In Guild Wars 2 there are two types of PvP “arenas” you can participate in. The first is a structured PvP, where you are given a template of your character’s race and class, with every ability and stat point unlocked. Instead of being jumped by some end-game level player and getting your stuff robbed, the game puts you and your opponent on a somewhat even playing field, with the same skill points and skill choices. Of course player skill and personal items do carry over, so it isn’t exactly even, but the game at least attempts to give you a chance at not dying. World vs. World is about what it sounds like: you take your character as is and battle against players from a different server. World vs. World feels like it is meant for higher level characters, where you battle with your friends and take on a horde of other players from a different server. I haven’t really been able to play it yet, but I plan to try it out very soon. 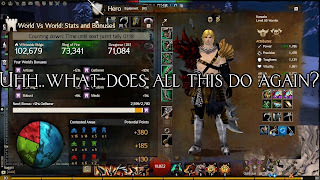 There are many aspects of Guild Wars 2 that I haven’t yet thoroughly explored. I haven’t even really tried to learn how to craft items or play PvP in any thorough manner and my level has only just barely broken out of the teens; however, I think this game will keep me coming back for more. Once you make the initial $60 purchase of the game, the online play is free and worth coming back to. 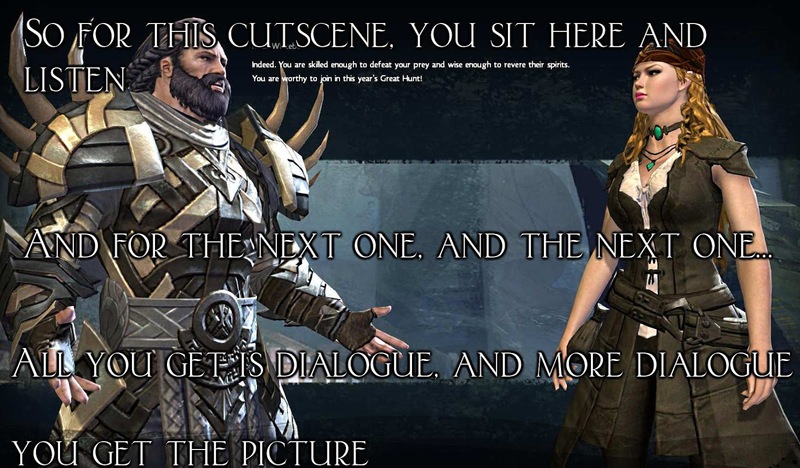 Based on my experience, Guild Wars 2 is an interesting MMO, and absolutely worth buying. 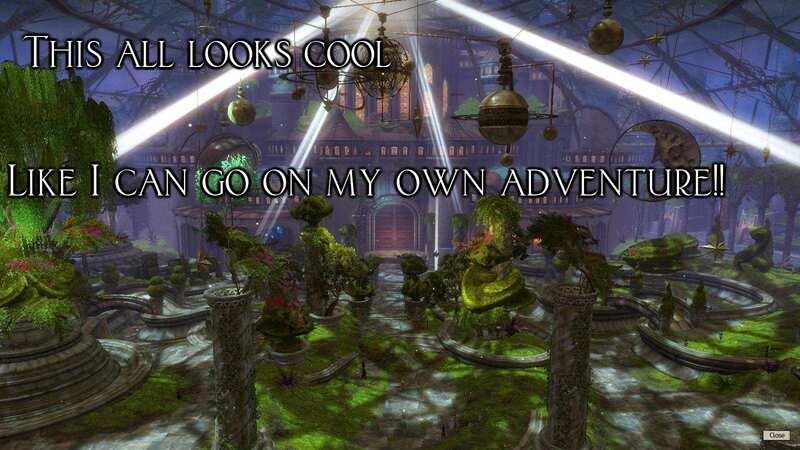 Even if you don’t like MMOs that much, GW2 is a game worth exploring with a few friends. 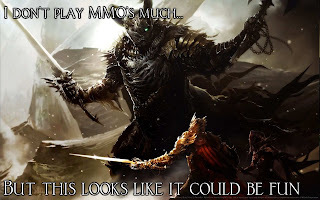 And if you're a seasoned MMO vet, you'll find the changes to the game refreshing and interesting. I know, I know, Guild Wars wasn't the best, but give its older, much handsomer brother a try. While I may have only scratched the surface in regards to all that GW2 has to offer, I will keep playing, leveling up, fighting monsters, and sharing my experiences as I go along.